Home / Uncategorized / WHAT IS FORENSIC GENEALOGY? Forensic scientists and genealogists share the same goal–to find out who was who, and who did what and when. In explaining how to analyze photographs, to mine databases, and to use DNA analysis to reveal family history, Forensic Genealogy emphasizes the creative parts of an investigation over the mechanics. Who? What? When? Where? Are these the words of a genealogist researching his family tree or a forensic scientist solving a mystery? Maybe someone who is both! Today, genealogy is more exciting than ever thanks to the ever-growing wealth of information that is available at the click of a mouse. Even if you cannot find something online, it’s often possible to find someone who can find it for you in a library thousands of miles away. The possibilities are limited only by your imagination. Forensic genealogy has established itself as the modern approach to family research. Forensic genealogy does not replace conventional methods of research, it enhances them. Established reference materials such as photographs, databases, and DNA can provide much more information than you ever dreamed, if only you keep your eyes open and use a little imagination. 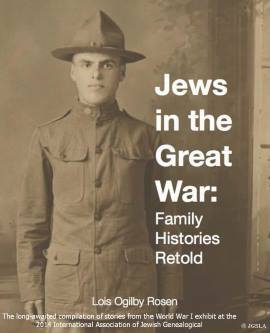 But are you really using your genealogical materials to your best advantage? The goal of this lecture is not to provide a dry list of places to look for information, but rather to spark your imagination to discover new ways of looking at your family mysteries, to permanently change the way you see things, to turn you into a forensic genealogist. 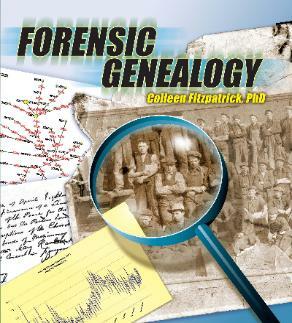 Colleen Fitzpatrick, PhD, is a Forensic Genealogist who has been recognized in the international press for her work with the Armed Forces DNA Identification Laboratory on identifying the remains found in the Alaskan crash of Northwest Flight 4422. 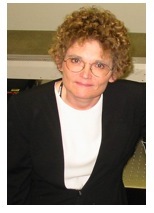 Retired from the optical industry in 2005, she now assists nonprofits, military organizations, and the FBI with forensic identification, and has been instrumental in exposing two high profile Holocaust literary frauds. As a world traveler and multi-lingual, Colleen specializes in international cases. Her first book Forensic Genealogy has become a classic- a must-have for professional and casual genealogists alike. She is also the co-author of DNA & Genealogy and the author of The Dead Horse Investigation: Forensic Photo Analysis for Everyone. She has consulted on many high profile DNA identification efforts including the identification of the Unknown Child on the Titanic, the Amelia Earhart project, and the Abraham Lincoln DNA project. The JGSLA traveling library will be available starting at 1:30PM. JGSLA members free, guests $5.00. Refreshments will be served.